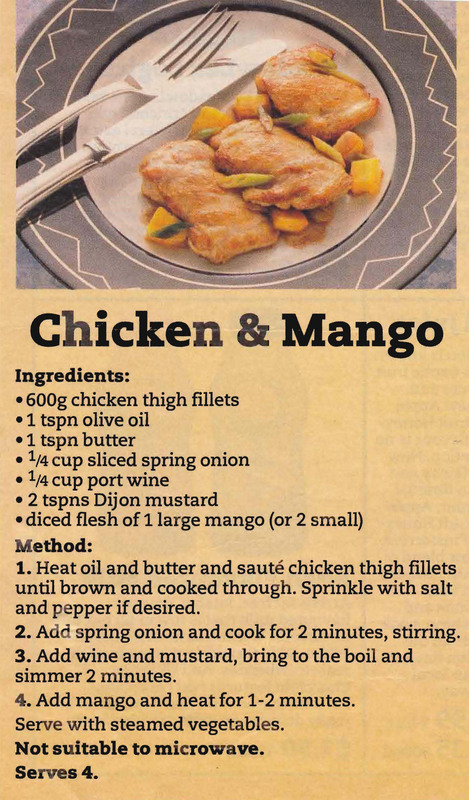 It’s mango season and they are finally ripe, tasty and affordable here in Melbourne, so I thought it was good timing to add this recipe. I know not everyone likes the combination of fruit with meat or poultry, but the mustard, port and spring onions make it sound quite appealing. In the 1950s except for fish and chips Chinese was the only takeaway available, you even had to take your own saucepan to the shop for them to put the food in – no plastic containers then. 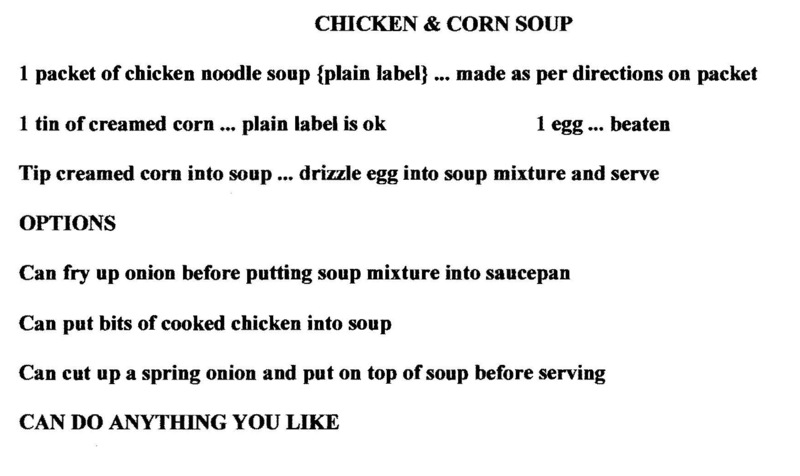 Chicken & Corn soup was always a favourite. Somewhere along the line someone came up with this make-at-home version, which can be adapted to suit what you like or what you have in the cupboard. It’s not as good as the Chinese restaurant variety, but it still tastes good.